I’m not entirely sure to tell you the truth. I think when I decided I wanted to write something this story just popped into my head because it was one I wanted to read myself. Overtime it took shape and changed drastically but the idea itself more of less popped in out of nowhere. I find my inspiration at the Library. There is something entirely exciting about walking through a room filled with books and looking at all of their covers that just inspires you to write more. Finding the time to write is difficult. 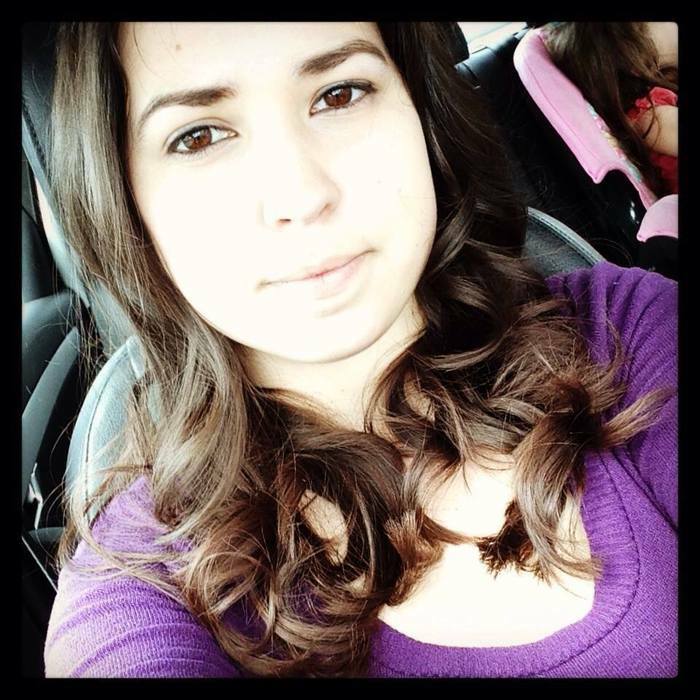 Between my day job, my blog, my home life and beautiful daughter, it all adds up. Time is something I definitely wish I had more of. Currently I’m working on Book 2 in the Blood & Magic series, and a side PNR project that is just beginning to take shape. I don’t have any other published works. Not particularly. If there is a message in my book then it is coincidence. I’m a story telling and don’t really look to add special messages in my writing but I do think Cursed by Fire may have developed one, can you guess what it is? Music is HUGE. I tend to assign a song to every scene. Music makes you feel something and I want my book to make my readers feel something as well. Music for specific scenes allows me to strive to draw that emotion into the scene. No. 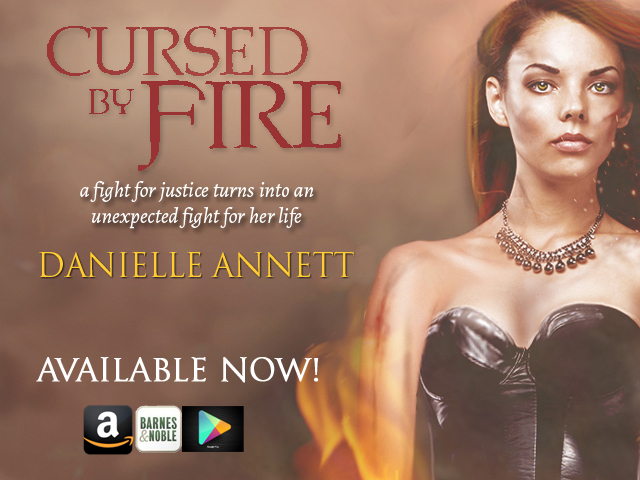 Everything in Cursed by Fire is entirely fictitious. I feel like I should list the classics here but truth be told, Urban Fantasy novels such as those by Ilona Andrews and Patricia Briggs have inspired me to want to become a writer. Additionally, On Writing by Stephan King has been an extremely helpful tool in developing my craft. Yes. ML Brennan is not completely new but is newer and has caught my attention. Additionally, Sherry Palmer who wrote Life with Charley. Something completely outside my genre scope but so touching has grabbed my attention and held on tight. I hope you love my story as much as I loved writing it. So not structured at all. I fit in time to write whenever I can. Sometimes I write all day and sometimes I don’t write until the weekend rolls around, every day changes. I chose to write Urban Fantasy because its what I enjoy reading most. There is something about fantasy creatures living in todays society and dealing with everything it brings. My perfect book hero is someone you can relate to. Someone who goes above and beyond to help others but is not all that extra ordinary. I want to feel like I can be that person. It starts progressively. I typically outline first but even my outline changes as I go. Cursed by Fire went through four different outline revisions and three major rewrites. I began writing passively about two years. I was just playing around with an idea and slowly it began to take shape. Only within the last year have I taken my writing seriously though and really buckled down to finish a book. That’s tough, I suppose when I typed THE END. That was when I felt accomplished enough to say, I’m a writer. I crochet. I feel like it is a grandmotherly habit but I learned when I was young and recently finished a baby blanket for my niece. Yes. I have four books planned so far for this particular series. 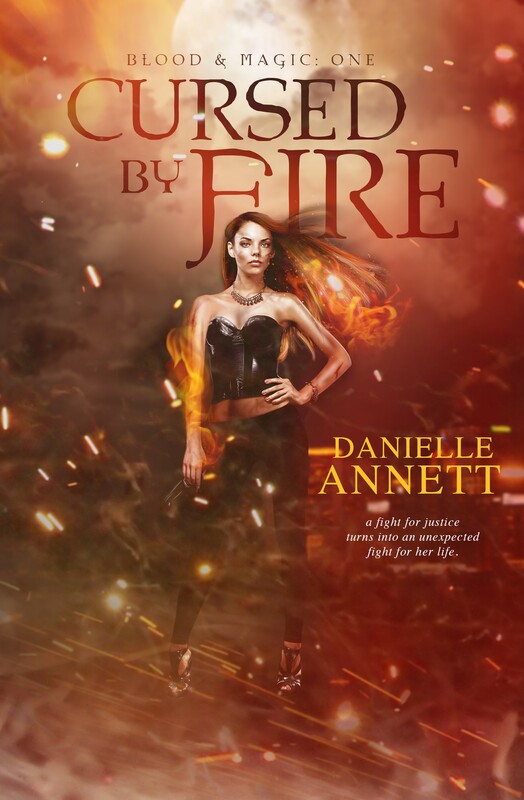 This entry was posted in Blog Tour, Giveaway, Paranormal, Release Blitz and tagged Cursed by Fire, Danielle Annett, excerpt, Giveaway, paranormal, question and answer, Release Blitz, romance, shifters, vampires. This book was f’n amazing! That’s a beautiful book cover! I look forward to reading this!